It seems like just yesterday that we were parents of an infant. Now, one headed to college, a kindergartener, and a 2nd grader later, we’re pretty deeply entrenched in this whole parenting way of life. 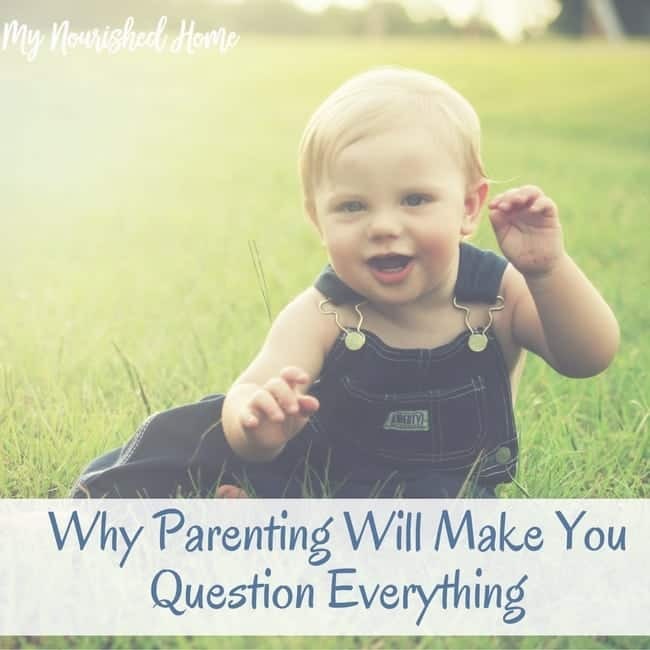 Over the years, we’ve definitely had some moments that made us question everything we knew about parenting and, well, about life in general. If you’re a parent, you can probably relate. If you’re expecting your first child, welcome to our world. You Now Think: Please let me close my eyes for five minutes before the baby wakes up. Sleep deprivation is a real thing, folks, and nothing proves it like having a newborn. Forget interrogation tactics, a parent living on less than two hours of sleep a night will give up all the family secrets just for the opportunity to sleep. Your whole perception of how much sleep you actually need will be questioned and you’ll realize, just like every other parent, that sleep is often a luxury. You Now Think: OMG, Just get in the car already! Here’s the thing. Most kids don’t really care if they’re late for school when they’re little. By high school they usually get it and don’t want to rack up more tardies. But those adorable little ones who take forever to get ready? They tend to be a bit pokey in the morning. Your own sense of time and scheduling will get readjusted. Expect it, plan for it, and be okay with it. You Used to Think: When I Have Kids They’ll Be Perfectly Behaved. You Now Think: Please don’t have a meltdown in Target, please don’t have a meltdown in Target. 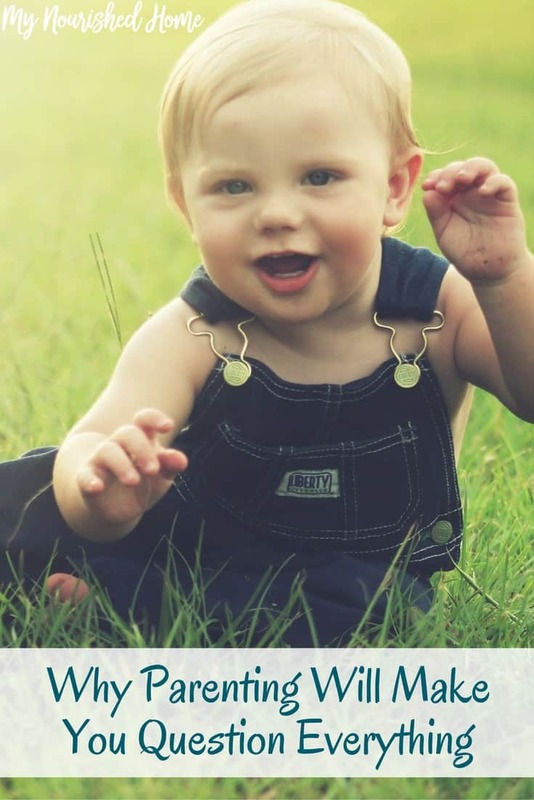 As any parent knows, there is no anticipating, no controlling, and no stopping the toddler tantrum. You can plan around naptime all you want, but some days you’re just praying you make it through the store without a meltdown. They happen at the most inopportune times and there is nothing you can do. Nothing. Perfect behavior is way overrated anyway. You’ll soon realize that those parents you used to silently judge, because they “let” their kids have screaming fits, will look eerily just like you. You’ll question everything you ever believed about good parenting and child behavior the first time your child has a meltdown. And it will happen. Guaranteed. You Used to Think: I’ll Be the Fun Parent! You Now Think: If we all make it through this day alive, it’s going to be a miracle. I’ll admit it. I used to think I’d be the mom who had everything color coordinated and sandwiches cut out in cute little shapes. My kids’ parties were going to be the talk of the town. I was going to be the mom that all the other kids wished they had. I was going to be amazing! Reality hit at about the two year mark when I realized my daughter would be lucky to even have a birthday party let alone a bounce house and pony in the yard! Forget about a fully-themed shindig, it was going to be a miracle if I remembered to pick up the cake. Being the fun parent is a lot harder and a lot more work than it looks. It’s okay not to be fun all the time – honest. It is okay not to be the perfect parent. It means you are normal like the rest of us. Don’t get me wrong, parenting is an amazing job. It’s just hard. Really hard. There are going to be times when you realize all of your pre-conceived notions about parenting were wrong. And that’s okay. We’re all just doing the best we can. Welcome to the ‘hood. If you think marriage is all roses, all the time, check out these Myths about Marriage.